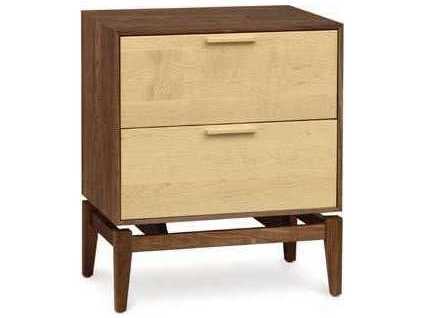 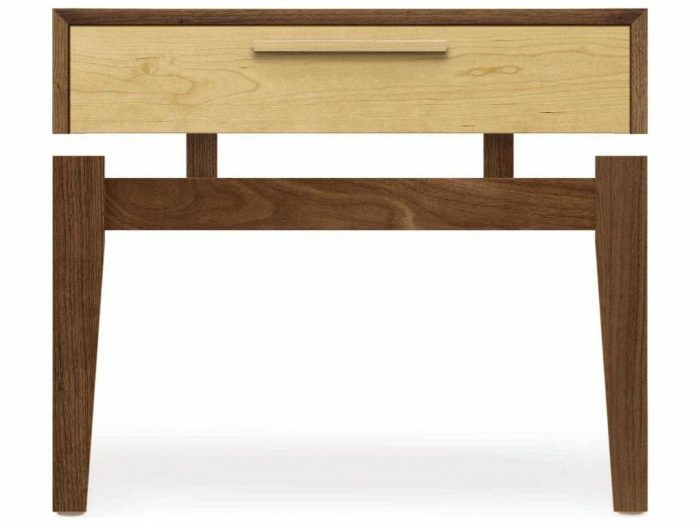 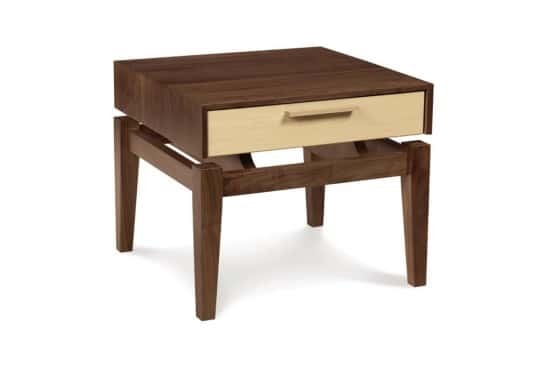 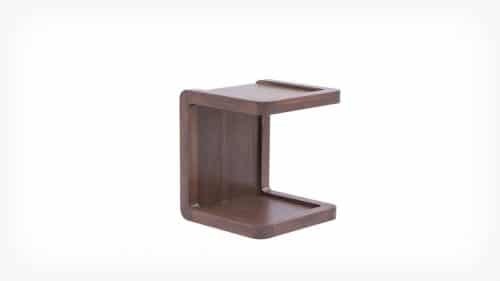 SoHo nightstand features precision bearing drawer glides and is crafted in solid walnut and maple and Made to Order with a variety of knob or pull options. 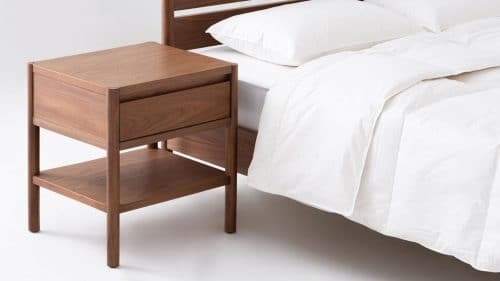 SoHo nightstands are also crafted in solid walnut and cherry as well as an assortment of species combinations for a highly customizable room setting. The finish is GREENGUARD Certified for low chemical emissions.